So now we know. News of the World chief reporter Neville Thurlbeck instructed the paper’s full-time phone-hacker Glenn Mulcaire to investigate the disappearance of Milly Dowler in 2002. Mulcaire listened to her voicemail messages and found a lead which suggested she might be alive. There is a public interest defence for committing any crime, and what could be more in the public interest than finding a missing child? But any sympathy for the News of the World evaporates with the next part of the story. Mulcaire found a message that was mistakenly left by a recruitment agency on Milly’s phone for someone call Nana about a job interview at a computer factory in Telford. Thurlbeck dispatched a team of five or six journalists to Telford to check out the lead on Friday, 12 April, 2002. It was only the following afternoon, when any prospect of the paper having a triumphant front-page story had evaporated, that then managing editor Stuart Kuttner told Surrey Police about the voicemails. The News of the World believed at the time that they had found evidence Milly was alive. It is hard to understand why Thurlbeck, Coulson and whoever else was privy to this information did not immediately share it with the police (who could then pass it on to the parents). Perhaps Thurlbeck thought it was Coulson’s call. Perhaps the News of the World believed its journalists could do a better job of tracking down Milly than the plod. Hopefully one day Thurlbeck and Coulson will tell us what was going through their minds. The hacking trial heard about the interception of thousands of voicemail messages by the News of the World. But it is the Dowler episode which stands out above the rest. 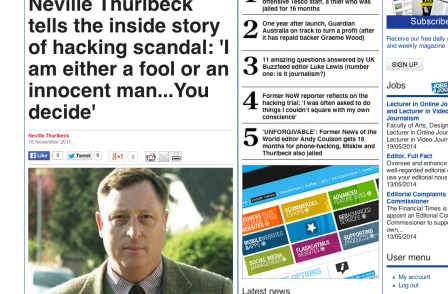 In November 2011, Thurlbeck wrote exclusively in Press Gazette protesting that he did not instruct Glenn Mulcaire to hack the voicemail of Graham Taylor. He said at the time he was “either a fool or an innocent man”. I suspect he is neither, but in any case the piece makes interesting reading today. After it emerged that he was pleading guilty, Thurlbeck told me he admitted ordering the hack of David Blunkett because the evidence was found by police in a News of the World lawyer’s safe. He said the company's own legal advice was that the hack it was in the public interest, so who was he to say otherwise? This week, in mitigation, he finally admitted involvement in the Dowler hacking and – to his credit – apologised to the family. 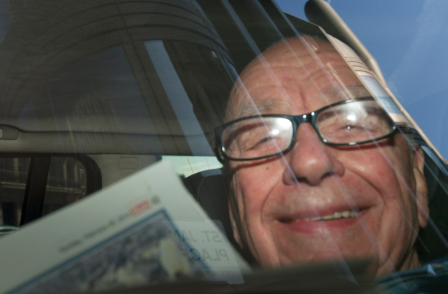 It is not good enough for some in the journalism industry to play down phone-hacking because it mainly just snooping on celebrities. Or to suggest that The Guardian’s mistake over voicemail deletions, and its reporting of the ‘false-hope’ moment, undermines the seriousness of what the News of the World did. The News of the World was a paper where competitiveness and determination to get the best stories evidently led to the moral compass of many individuals getting seriously out of whack. Before 2007, when the jailing of journalists in this country was pretty much unheard of, it is more understandable that so many refused to scupper their careers by speaking out about wrongdoing. Today, with three former journalists behind bars and dozens more yet to face trial, I suspect things have changed. New press regulator IPSO will have a whistleblowers’ hotline when it launches in September, to allow journalists who are pressured to act unethically to make an anonymous report. The competitive atmosphere on newspapers, and news websites, is such that after the shock of today's prison sentences has subsided standards may well slip again. Hopefully next time someone will have the courage to speak out.